The goal of this post is to help you stay sharp and relevant. That’s why you will find answers from people who live and breathe processes. 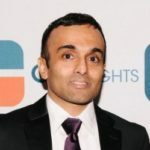 Anand Sanwal is the Founder and CEO of CB Insights. CB Insights enables Fortune 1000 companies identify emerging trends and threats early by ingesting & analyzing massive amounts of unstructured data beyond human cognition. What are the trends that will impact the way organizations work and interact with customers in 2018? In 2018 and beyond, large corporations will start to use Expert Augmentation and Automation Software (EAAS) to make better decisions in areas they’d never thought of “processes” before. For example, an area like competitive intelligence has never been treated like a process in most large corporations. They have a bunch of analysts and consultants running around creating ad hoc decks opining on what a competitor’s strategy is based on the latest article or transaction or last quarter’s results of a competitor. The same can be said for corporate strategy, assessing new markets and new products or even identifying M&A targets. These are all areas that have historically been viewed as expertise-driven or what folks would describe as “more art than science” suggesting that these areas are solely reliant on human cognition. The reality is that selecting new markets for entry or understanding competitors so you can respond appropriately are major decisions which will become more process-driven with technology and data because machines can provide a level of understanding that is more rigorous than humans can. If you asked an analyst at a corporation to analyze Google’s strategy in 5 days and you gave them 40 quarters of earnings transcripts, 10k Google patents, every job they have open, all their investments, M&A and partnership arrangements over time (thousands) and tens of thousands of press articles about Google, you know what they’d do with the thousands of pages of info you gave them? They’d read an equity research report and a couple of articles about the company from media outlets and summarize them. And because their inputs into their analysis are incomplete garbage, the end result is garbage. Garbage in, garbage out. It’s willfully ignoring all the digital clues Google has left out there about its strategy. Google’s strategy is where it is allocating its resources and time. Where it is investing and acquiring, what its smartest people are researching, what it’s discussing with Wall Street, what it’s talking about with media, etc. But there is so much of that information that it’s beyond human cognition and so analysts have to rely on shortcuts for their analysis. Machines don’t have these limitations. We now have the technology and software to extract, classify and analyze this vast array of unstructured information, make sense of it and glean meaning from it with machines that are tailor-made for this. Of course, Expert Automation & Augmentation Software will be more focused on augmentation, i.e., helping analysts do countless complex tasks that are either beyond human cognition and/or inefficient for human beings to do (read thousands of pages of patents and understand key topics). Think of these AI-enhanced assistants as junior analysts who never tire and who can process information beyond human capacity but who will still need the steady eye of a manager to make subjective judgments. Which BPM skills will be hot in 2018? Now when you know the broader context, I want to share with you answers from 20+ BPM experts. You can either read everything or use the navigation below. Enjoy! 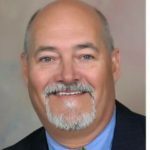 BJ Biernatowski is an advanced BPM Practitioner with 20 years of IT experience, 15 of which spent implementing Business Process Management solutions. He has practical experience with Pega, Appian, Tibco AMX BPM and K2 blackpearl including large-scale, mission-critical systems. His articles have been published by KW World and others. 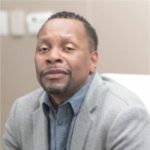 He has advised on topics of BPM adoption at Fortune 500 companies, that include designing one of the largest clinical business rules-driven systems as well as receiving an award for the most diverse application of BPM. What are the skills and techniques that can help BPM practitioners create value for their organizations in 2018? Personal Case Management and Task Automation, Cloud Process Automation solutions. Some of these trends either complement or fully replace traditional BPM approaches. Low Code: The need for quicker and simpler solutions will further drive adoption of low code process automation technologies causing confusion with the positioning of pure-play BPMS vendors. Business and Solution Architecture awareness: A plethora of different automation technologies requires BPM practitioners to see through overlapping stacks as new products and platforms enter the market. Vendors only seem to be adding to this confusion, by releasing new features, components to further differentiate themselves from the competition. The use of nonstandard technical jargon and the lack of clarity around the positioning of these tools in the Enterprise Architecture stack don’t help either. Great Communication: As BPM practice gets recognized as a critical component of your company digital transformation, the ability to communicate with different stakeholders, inspire, story tell, and lead through chaos becomes paramount. In terms of the hype, the Gartner Hype Cycle for Emerging Technologies does a great job forecasting new trends and fads from a multiyear perspective. Given the high number of different modeling and prototyping tools out there that are still non-compliant or even closely related to BPMN, one cannot stop wondering about the future of this standard. Today it is possible to engage in business process automation activities without actually touching or modeling business processes. Beware of process automation m-architects using hyped presentations to lay the foundation for transformation programs – BPMN exists for a reason. Roger is the president of Process Renewal Consulting Group Inc. 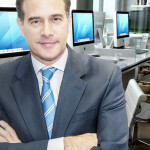 He is also co-founder of BPTrends Associates; the services firm of the world-leading BPTrends.com knowledge portal. He started the pioneering Process Renewal Group (PRG) in 1993 and was at the forefront of process-centric ways of running businesses. He is regarded globally as a thought leader and dynamic practitioner who brings reason, clarity, and practicality to complex business architecture and business change. 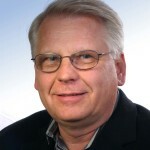 Roger’s insights can be found in his acclaimed book: Business Process Management: Profiting from Process, the Business Process Manifesto, the Handbook on Business Process Management and numerous other publications including his articles featured on BPTrends.com. 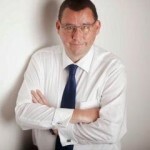 Roger chairs several of the largest and most influential BPM conferences in the world and is a sought after speaker dealing with the tough issues of business change in a thought provoking and entertaining manner. * Process Architecture / Value Stream mapping directly linked to the external stakeholder so that every process is connected to and driven by value creation. * Understand how to design the business for Business Agility – design for changeability. This is not the same as Agile software Development. * Data flow analysis that tracks date creation, updating, and reference across a whole chain to ensure integrity. This is critical in digitalized process solutions. * Connecting processes to decisions and making sure process flows are NOT used to represent a flow of rule execution. * Concept modeling which becomes the foundation for information, process, capability, rules and measurement definition. The definition of the business concepts and terms is critical to processes and all connecting domains that the process depends on to execute properly. * For business level modeling – you do not need to know or use detailed BPMN 2.x – just the core is sufficient if you are a process analyst. * Multiple and deep levels of root cause analysis – keep it higher – you don’t have the time anymore and the changes will not be at the tweaking of processes but of the rethinking of them. * AI for process analysis and design efforts – may be a good choice however for high volume or very complex business problems. * Broad scale process mining unless the process is highly transactional – especially if your organization is not very process mature. 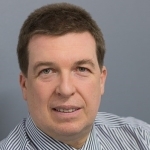 Dr Alan N Fish is Principal Consultant in Decision Solutions with FICO, having over 30 years’ experience in the support, automation and optimisation of organisational decisions. He invented the “Decision Requirements Diagram” (DRD) which exposes the structure of a domain of decision-making, and developed Decision Requirements Analysis (DRA): a methodology for building and using such decision models. He is the author of “Knowledge Automation: How To Implement Decision Management in Business Processes” (Wiley), and co-author of the OMG specification Decision Model and Notation (DMN). First and foremost, the ability to model the complete scope of automated processes formally, including not just the process flows but all decision-making and user interactions. This is best done using the OMG “Triple Crown” of standards: BPMN (for business process modelling), CMMN (for case / UI modelling) and DMN (for decision modelling). Secondly, the commitment to ensure that change management is planned and rolled out with due consideration for the users whose roles have been redesigned. A good book covering the Triple Crown is the 3rd edition of Real-Life BPMN, with introductions to CMMN and DMN, by Jakob Freund and Bernd Rucker. And my book Knowledge Automation is still a useful introduction to the principles of automating decision processes. Ian is a founder of Q9 Elements, tech advisor, investor, speaker and author. Q9 Elements is a startup software company. It is looking to disrupt the BPM marketplace and enable clients to deliver huge levels of ROI. Understanding different technical standards UML, BPMN, DMN RPA and AI are still emerging so practical skills are not very usable and standard/approaches are still evolving…. wait and see how they turn out. 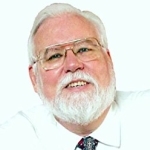 Paul Harmon is a Co-Founder, Executive Editor, and Senior Market Analyst at Business Process Trends – www.bptrends.com – an internationally popular website that provides a variety of free articles, columns and book reviews each month on trends, directions and best practices in business process management. 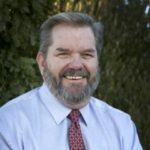 Paul is also a Co-Founder, Chief Methodologist, and a Principal Consultant of BPTrends Associates (BPTA), a professional services company providing executive education, training, and consulting services for organizations that are interested in understanding and implementing business process management. Paul involvement in business process change dates back to the late 60’s when he worked with Geary Rummler, at Praxis Corp., and was responsible for managing the overall development and delivery of the performance improvement projects undertaken by that company. During the 70s and 80s he ran his own company, Harmon Associates, and undertook major process improvement programs at Bank of America, Security Pacific, Wells Fargo, Prudential, and Citibank, to name a few. During the same period he was a Senior Consultant at Cutter Consortium and edited their Expert System Strategies, CASE, and Business Process Reengineering Strategies newsletters. Paul is the author of Business Process Change: A Guide for Business Managers and BPM and Six Sigma Professionals (Morgan Kaufman, which issued the heavily revised second edition in 2007). 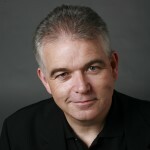 He has authored or co-authored over twelve other books, including the very popular Expert Systems: AI for Business (1983) and is the co-author and editor of the BPTrends Product Reports, a widely read series of reports on BPM software products that are available on the www.bptrends.com site. Paul Harmon also writes two short articles each month on current BPM topics, which are mailed to the members of the BPTrends website. 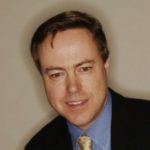 Paul Harmon is an acknowledged BPM thought leader who is concerned with applying new technologies and methodologies to real-world business problems. He is a speaker and has developed and delivered executive seminars, workshops, briefings and keynote addresses on all aspects of BPM to conferences and at major organizations throughout the world. BPTrends has just finished reviewing the data from the 2017-2018 BPM Survey. Among the new trends are Transformation, Digitization, and Artificial Intelligence (AI). Digitization is a bit more subtle. In part it just refers to more automation, but in part it seems to refer to a new attitude towards automation — an attitude that values information in digital format — information that can be transformed and stored with greater ease and reused more readily. Thus, for example, using digital formats, a company can take video and store it, and then later search existing videos for given faces using facial recognition software. It means that the original video is much more useful and can be used by applications in ways that would have previously required hours of real time review by human observers. Digitization seems to refer to a whole new mindset about how to tie complex processes together using data stores and tools that allow rapid access to that data. Clearly that’s going to be a growing concern in the future. Finally, there is a growing interest in AI. AI is a bit confusing because the term refers of a wide range of technologies and approaches. It refers to robotic devices, to sensors of all kinds, and to intelligent algorithms that make sense of data. Consider self-driving vehicles that will become more and more ubiquitous in the near future. First the vehicle needs a sensor array that can “picture” the surrounding environment, then it needs a “brain” that can evaluate the sensor data and decide what moves it can safely make, how to plot a path to a given location and how to execute the journey. Finally it needs physical mechanisms that can steer the car. It might also want a natural language capability to obtain directions from a passenger, or to give the passenger information on demand. In short, a robotic automobile isn’t a single thing, but a whole collection of AI capabilities coordinated to achieve a very flexible set of processes. Many organizations are exploring specific AI technologies, like Analytics, or Robotic Process Automation (RPA), but these are really only stop-gaps — things to do while waiting for more sophisticated options. The more sophisticated options will require teams of people to organize and train the AI systems. Whatever AI apps may do in the long run, in the short run they will create an array of new jobs and require new skills on the part of managers and process practitioners. Intelligent business processes are definitely in the future of most organizations. Today’s value add is all about understanding what automation can do for your operations, and at the same time ensuring that you have the strategies in place to prioritize data management. Automation is only as good as the data you can feed into it. That is a defining, and also limiting, mantra for the year ahead. Experience is probably the best resource. And what I mean by that is finding the individuals with experience to lead or at least support in-house initiatives. While just a few years ago experience was sparse, today we see more and more successful case studies where intelligent automation has been successfully integrated. Of course we at the Shared Services and Outsourcing Network (SSON) have focused very much on the technology trends, alongside talent management and skills evolution. Our conferences offer a great opportunity to network and learn from the experience of others, and we are constantly sharing case studies, interviews, and white papers online. As a non-practitioner, I can only share what practitioners tell me and that is that you no longer need to be an accountant to provide value add within finance and accounting processes. While that may be simplifying it – accountants need not fear – the truth is that today understanding how a process works, and how technology drives that process, and where the relevant data sits in the enterprise and what to do with it once it’s been worked on are probably more significant in terms of driving value out of any given function. Sandeep specialises in Business Process Management with deep roots in process analysis, architecture design, modelling, improvement and governance. Industry sectors that have engaged Sandeep include finance (banks, superannuation and hedge funds), education, mining, government (state and local), energy and utilities. Sandeep’s consulting takes him to both national and international destinations including the Americas, Middle East, New Zealand and the UK. He is often invited to speak at national and international conferences and is regarded as a contributor to the Business Process Management body of knowledge. He holds a Masters in Information Technology (BPM), an honours in Business Management and a diploma in Mechanical Engineering. I’ve observed a return of Agile principles and techniques in delivering results consistently. Specifically, there’s a real push towards the ability to collaborate with a range of stakeholders (including business representatives and external vendors) keeping everyone ‘honest’ and expectations in check. I also see a strong emphasis on customer experience – which regularly transcends into human experience. The focus of process management is to produce superior customer experience. BPM practitioners have known this since the dawn of time, however, there’s a greater reliance on technology to enable this. Which means deeper automation, self-correction, machine learning and A.I. Since these are already becoming household terms, I would highly recommend BPM practitioners to be savvy in contemporary solutions and offering in that space (e.g. iBPMS, RPA, Streaming Analytics, etc.). For a long time, I’ve been an advocate of understanding the current state of processes. Current state understanding pertains to measuring the status quo so we’ll know we’ve improved. We would usually do this through laborious workshops, system investigations and document analysis. While satisfying and useful, I see less appetite for this type of work. Additionally, if organisations are increasingly automating, the human skills to document processes will quickly become a thing of the past. To add salt to the wound, as systems become smarter (and self-correcting), process improvement skills may go out of vogue. The ability and speed of a human to process multiple (hundreds/thousands of) data points does not come close to the ability of specialised systems. Skills in these areas will also see a reduction. Instead, we (the humans) will focus on decisions and soft skills. 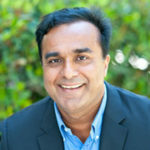 Abhijit is a Senior VP, Products at Automation Anywhere. He is a seasoned executive with a proven track record in new product development, go-to-market, and improved product P&L performance. Abhijit oversees Automation Anywhere’s product strategy, design and delivery. His rich experience includes leading Autodesk’s transformation to the cloud, directing the team for Oracle’s next generation Innovation Management Cloud initiative, and steering product management and strategy for Product Lifecycle Management (PLM) at Agile Software, where he delivered rapid product and customer experience improvement. 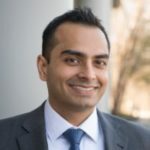 Abhijit’s entrepreneurial endeavors consist of multiple M&As including a successful exit for his own startup, ATMA software, which is now part of Oracle. BPM practitioners can use RPA Bot creation skills (that are very easy to pick up) to rapidly increase their customers’ Digital transformation velocity. RPA providers such as Automation Anywhere have invested heavily in eLearning to create a growing and thriving community of RPA practitioners. Taking some of these courses and getting certified is a great first step. With technologies like RPA gaining adoption, skills in tackling complex, time-consuming, back-end integrations might take a backseat. The greatest value that BPM practitioners can bring to their organization is the ability to translate need into action. There has been a lot of focus on determining needs (by business analysts) and developing technical skills with the BPM platforms (by developers), but too few people can act as the catalyst between those two worlds. “Citizen developer” tools help to some extent by allowing the less complex applications to be built directly by the business analysts, but there will always be the need for combining the skills of the analysts with those of the developers. At this point, too few people on either side of that divide speak the other side’s language, resulting in a mismatch of what the business needs with what IT delivers. This is not a new problem, but is reaching a critical point in part because the availability of low-code tools for citizen developers is creating the perception that any application can be built by non-technical people using these tools. My advice for business analysts/users who are eliciting requirements is that they become proficient with the low-code BPM platform at use in their company, and use it to create at least an initial prototype of an application that they walk through with the business users, rather than just handing off written requirements to developers; this will allow them to understand a bit more of what it needed to create all parts of an application rather than just the happy path. 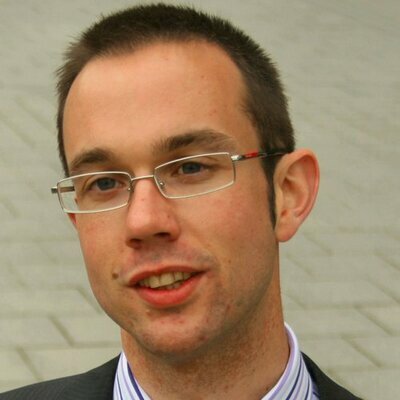 My advice for developers is to spend time shadowing business users as they do their job, taking note of the things that slow them down and result in a lot of non-value-added manual work such as logging cases in a spreadsheet; if you don’t see it for yourself, you can’t really understand what’s required to make their work better. The skills that I recommend for business analysts is to learn how to build applications using the low-code BPM platforms. For this, they may need a short training course (hopefully available online, depending on the vendor) but usually the platforms allow someone to get started with very little training, then learn more as they progress: I suggest just diving in and start building some real applications with the tools and see what happens. At some point, they should engage with developers to review their application since that will provide more of a technical analysis and help to improve their application building style in terms of reusability and standardization. For developers, I’m also a big fan of hands-on work rather than just reading about it. Ask for an opportunity to sit with a business user at their desk one-on-one (in a meeting room with a group is not a good substitute) for a period of 30-60 minutes, watch while they just do their normal job, ask questions about what they’re doing and why, and document what you see. If you observe your way through a series of business users from one end of a process to the other, you’ll gain insights into how to improve the overall process (which will impact the underlying process model) as well as the work for any particular user (which will impact the application at their point of interaction). In general, I think you can learn more about these skills by hearing about the experiences of other people who have done the same thing. Attend related conferences, webinars and local meetups whenever you have the chance. I do a lot of conference blogging, but I’m not the only one: following blogs that write about the specific sessions at conferences can give you a great deal of insight even if you can’t attend in person. In all technology fields, not just BPM, we’re seeing a lot of about interest in two technologies: artificial intelligence and blockchain. They are both relevant to BPM, but still at the bleeding edge in most situations, so not something that you need to spend too much time on (unless you’re a researcher) until they become more mainstream and embedded in commercial products. Keep an eye on what’s happening, but don’t count on a huge contribution from these in day-to-day business in 2018. Dr. Kirchmer is a visionary leader, thought leader and innovator in the field of Business Process Management (BPM), successfully integrating business and technology initiatives. He has combined his broad business experience with his extensive academic research to deliver pioneering management approaches that have proven to be both, sustainable and provide immediate benefits. Most recently, Dr. Kirchmer founded BPM-D, a company focused on enabling ongoing digital transformation and strategy execution through the discipline of BPM. Before he was Managing Director and Global Lead of BPM at Accenture, and CEO of the Americas and Japan of IDS Scheer, known for its ARIS Software. Dr. Kirchmer has published 11 books and over 150 articles. He is affiliated faculty at the University of Pennsylvania and teaches regularly at several other universities. In 2004, he received a research and teaching fellowship from the Japan Society for the Promotion of Science. * Discipline of Strategy Execution and Value-driven Digitalization: BPM is seen more and more as the management discipline focused on strategy execution across the enterprise. Digitalization has become part of basically every business strategy. BPM aligns people, their organizational units and the supporting digital technology, focusing everything on creating value for clients. Hence BPM becomes THE discipline that combines strategy execution with the related value-creation through digitalization. Process Governance becomes a key lever. BPM Practitioners have to organize their discipline accordingly. * Rapid Process Improvement (RPI): Since the business environment changes so quickly rapid process improvement approaches will continue to replace slow traditional approaches. Using a value-driven approach to process modelling and repository tools in combination with process analytics and mining techniques resurfaces as a key enabler of sustainable agile process improvement. * Robotic Process Automation (RPA): RPA has started to close an important gap in next generation process automation. Combining RPA with Artificial Intelligence (AI) and Cognitive features makes it a powerful improvement component that eliminates more and more of the routine work in our offices. * Integrated Process and Data view: The best process does not work without the right quality of data and data is not worth much without the processes transferring them into value. Therefore an integrated process and data view is required. This is especially important in a digital world which moves fast and does not give much time to adjust processes and data. As a consequence process and data governance will be integrated. * Continuous People Enablement and Culture: The limits of process improvement will be determined by the imagination and capabilities of people rather than through the technology. The key to success will center around the collaborative engagement of people in owning and improving processes. The collaboration is enabled through robust approaches to providing ongoing information, communication, training and education related to emerging process improvement tools, technologies and approaches. This includes specifically executive education on the new realities of value-driven process management so that decision makers can be more effective in the digital world. Result is a more process and performance driven enterprise culture. * Process-driven Project Portfolio Management and Value Realization: Improvement projects need to be systematically prioritized regarding their importance for the overall business strategy and focused on best value-creation per dollar spent. After project conclusion the value realization has to continue seamlessly. The BPM-Discipline has to deliver the appropriate approach – enabling systematic growth in our digital world. * A good overview over the topics mentioned is provided by industry organizations, like ABPMP or the BPM-Institute, and by specialized service firms like BPM-D. It is worth to compare training and education agendas to come up with the right mix. * There are more and more eLearning offerings available covering at least some of those topics, such as the module “Strategy Execution in a Digital World: The BPM-Discipline” from BPM-D.
* A deeper and more comprehensive education in many of the areas mentioned is provided by academic institutions, such as Widener University (Master in Business Process Innovation) or the University of Pennsylvania (Program of Organizational Dynamics in the School for Arts and Sciences). * In addition there are first books available covering those topics, such as “High Performance through Business Process Management – Strategy Execution in a Digital World” or “The Drivers of the Digital Transformation”. I think many of the traditional statistical improvement tools and related traditional approaches, like e.g. Six Sigma, will continue to lose traction since their application in the office environment is too slow for the digital world. Professor Marcello La Rosa has been researching and teaching BPM at the Queensland University of Technology (QUT) for over a decade. 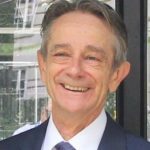 He has now left QUT to join The University of Melbourne, where he will lead the Information Systems group and establish a new BPM research team. His research interests span different BPM areas, including process mining, consolidation and automation, in which he published over 100 papers. 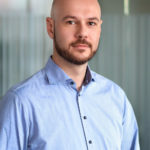 He leads the Apromore Initiative (http://apromore.org) – a strategic collaboration between various universities for the development of an advanced business process analytics platform. 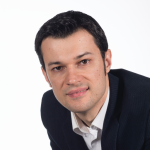 Marcello has taught BPM to practitioners and students in Australia and overseas for over ten years. Based on this experience, he co-authored “Fundamentals of Business Process Management” – the first, comprehensive textbook on BPM, which has influenced the curriculum of close to 250 universities in the world and has been translated to Chinese and Greek. Using this book he co-developed a series of MOOCs on BPM, which have collectively attracted over 25,000 participants. Despite the availability of a repertoire of techniques and software tools, both commercial and open-source, process mining is still largely an untapped new technology. It’s time to leave the worries behind and seriously invest in process mining upskilling. In my experience, however, business analysts are still mostly unaware, or have just heard, about process mining. How to set up and conduct a process mining project? How to manage that? What are reasonable objectives to have for such projects? What data (and data attributes) are required? Is the data of good quality? What systems should I look into, to extract this data? What are the most suitable process mining techniques for my objectives? What tools are available that implement these techniques? How to interpret the results of such techniques and use these to build up a business case? In my opinion, these are some of the key questions a modern business analyst should be able to answer. In a nutshell, process mining is about inferring process knowledge from transactional logs, say logs recording executions of an order-to-cash or claims handling process. This knowledge that we can extract can take different forms. It can be, for example, a BPMN model that is automatically discovered, performance analytics pinpointing bottlenecks and resource overload issues, conformance analytics showing deviations from norms or high exposure to risks, or predictive analytics showing the likely outcome or duration of running process cases (e.g. orders currently open). There’s plenty of literature available on process mining. A gentle introduction to the topic, including a classification of the various techniques available and plenty of hands-on exercises, can be found in Chapter 11 of the upcoming 2nd edition of “Fundamentals of Business Process Management”, by M. Dumas, M. La Rosa, J. Mendling and H. Reijers, Springer 2018 (https://goo.gl/taUX2b). For the technical minds, you can consult THE reference book on process mining: “Process Mining: Data Science in Action”, by W. van der Aalst, Springer 2016 (https://goo.gl/d7Hjwo). Another book that treats the specific application of process mining to healthcare is “Process Mining in Healthcare: Evaluating and Exploring Operational Healthcare Processes”, by R. Mans, W. van der Aalst and R. Vanwersch. All these books are of course also available as eBooks. But if you feel books are old school, you can always tap into an online course (MOOC) on process mining (https://goo.gl/oNK5nf). There are three that I know of: “Process Mining: Data Science in Action” on Coursera (https://goo.gl/C3uaST, open all year around), and a couple on Future Learn: “Introduction to Process Mining with ProM”, which teaches how to use the open-source tool ProM (https://goo.gl/G4WC8p) and “Process Mining in Healthcare” (https://goo.gl/LRF7Mg). There’s also plenty of commercial tools, such as Celonis, Signavio, Minit, myInvenio etc. as well as open-source tools such as Apromore (http://apromore.org) – catered towards end users, and ProM (http://promtools.org) – catered towards data scientists. I don’t think there are BPM skills no longer relevant. All are relevant depending on what value we want to get from BPM. For example, if we are up for improving the quality of our products or services, I think there’s (a legitimate) room for Six Sigma’s statistical techniques, or if we want to improve efficiency, there’s certainly room for applying waste analysis techniques from Lean. As for the not-practically-applicable-yet techniques, I think that in the last couple of years a lot of effort has been spent toward promoting BPM as an enabler for digital transformation. However, we haven’t seen, yet, the establishment of techniques that concretely indicate how to go about using BPM for digital transformation. I feel at this stage it’s mostly wishful thinking. Don’t get me wrong, I firmly believe that BPM can foster, if not lead, the digital transformation of an organization, but for that to happen systematically, we need the availability of concrete techniques that operationalize a set of well-defined principles for using BPM for digital transformation. And that hasn’t happened yet. So this is an invite to all those practitioners who have already experimented with BPM & digital transformation to start divulgating their practices and lessons learned, and at the same time, it’s an invite to academics to empirically evaluate these practices at scale, to derive reproducible outcomes. 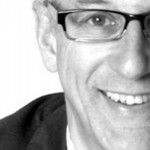 Bob Larrivee, Vice President and Chief Analyst of Market Intelligence – AIIM. Bob is an internationally recognized subject matter expert and thought leader with over thirty years of experience in the fields of information and process management, and recipient of the Cenadem Brazil – ECM pioneer Award. Bob is an avid techie with a focus on process improvement, and the application of advanced technologies to enhance and automate business operations. I think that some of the hottest skills will be on the user side as the Now-Side/No-Code tools become more prevalent and available. They will need to be able to articulate and map their processes, which many can do today, but more will need to do tomorrow. BPM is moving in a direction of placing more power in the hands of the business where business decisions need to be made on how it is conducted and transacted in order to meet customer demand, and deliver a great customer experience. The power to design and modify business processes by the line-of-business personnel without total reliance or dependence on IT is a game changer in my view. There is still a need to have integration and IT working to link our information ecosystem on the back-end, and look for new and better ways of doing so. I see a future for BPM the takes businesses in new directions, opening the eyes of the user to options and possibilities they never knew existed, and freeing IT resources to extend their and strengthen the ecosystem to be more secure, more tightly connected, and ore accessible to internal and external customers. Juergen Pitschke is Partner and Managing Director at Process Renewal Group Deutschland. Juergen has more than 25 years industrial experience about enterprise modelling and the realization of Business and IT Architectures. He is recognized for his deep knowledge and the systematic use of visual standard notations and of different frameworks für the design of an Enterprise Architecture. His knowledge is often sought in the field of Business Process Management and Decision Management. His focus are model-based approaches for enterprise design and their practical use. Clients value his abilities to explain concepts, to help teams to adopt and successfully apply such methods, and to guide projects successfully. He is author of the book “Unternehmensmodellierung für die Praxis”. He translated the Business Process Manifesto, the Decision Management Manifesto, and the RuleSpeak® – approach into German. His customers include companies as Kuehne+Nagel (AG & Co.) KG, Boehler Edelstahl or organizations like the Federal Office of Police in Switzerland. Modelling is an important skill in Business Process Management. This stays valid. In the last year discussion about notations reduced. The focus is really on application and becomes more mature. Beside BPMN DMN is the most relevant one. It is important to understand the concepts behind the notation and apply it to relevant problems. In modeling the most usual problem is to manage the right abstraction level. This leads directly to the discussion of Business Architecture and Business Agility. Modeling is a must. But how can you be agile if your models are not agile? The best books this year are about DMN: “Real-world Decision Modeling with DMN” by James Taylor and Jan Purchase and for Business Process Management in general: Reimagining Management: Putting Process at the Center of Business Management” by Roger Tregear. For “Agility” the book from Scott Ambler about Disciplined Business Agility are a good inspiration even if this is oriented to software development. You can learn a lot from it. Reflect this and apply it to your business problems. Compare it with the Business Agility Manifesto by Ron Ross, Roger Burlton and John Zachmann. In the last year we spoke about CMMN. It seems not to reach the practice. I hope this improves in 2018. A hype topic for me is Process Mining as it is in the moment. To mine just to find out about the as-is process. To improve this is not enough. And you have to find the different abstraction level. The current tools have to become more integrated with other tools and techniques. Alex leads the FLOvate Marketing team and is working to establish LEAP™ as the market leading low code software platform. 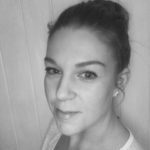 With over 15 years in marketing, Alex is a well-established communicator and enjoys working with a wide number of organisations to explore and define authentic business value. 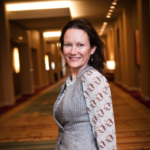 She works as part of a focused and talented team dedicated to support businesses looking for a way to drive innovation within their operational structure. The most important technique a BPM Practitioner can bring to their organisation is the ability to pace and plan their approach carefully. Fundamental basics which are often overlooked such as thorough company overview, discussions with key decision makers/end users and realistic process challenge analysis are all key skills to ensure that critical changes are made to secure greater value. Finally, never overlook customer feedback. No matter how forward-thinking your system is it has to be functional and deliver what your consumers believe to be important, such as a simplified agile working and a humanized approach. – The most important skill to ensure you create authentic process value is to directly learn from the people that use and administrate that system daily. From personal experience of leading/attending process workshops and training courses I can vouch for their effectiveness. The more you practice your craft and immerse yourself within in the world of process improvement and BPM the sooner it will become common sense in practice. Looking to online communities, listening to podcasts and attending BPM and Process Excellence Shows will also provide invaluable insight to benefit your skill set. Robotics and AI for the majority are overhyped with many organisations not being ready for this technology (some are of course). The data we gather is mostly in such a mess that it will be a long time before businesses are routinely using Robotic learning to initiate better decision making. Most companies just need to work towards these advancements – utilising the other alternatives available to operate better. Hard-coded process solutions are quickly becoming an obsolete method due to the static processes that are created as a result. With more beneficial and quicker options available such as the agile workings of Low-code which is mostly configurable and can be adapted to company and legislative change, the need isn’t there for this long and tedious alternative. Department centric working is quickly becoming an irrelevant way to effectively operate. Companies are discovering that mobile teams provide more value as they collaborate and look at the bigger picture and the roles that bleed into each other. The popularity and rise in companies utilising Scrum Teams highlights this. Adrian Reed is a true advocate of the analysis profession. In his day job, he acts as Principal Consultant and Director at Blackmetric Business Solutions where he provides business analysis consultancy and training solutions to a range of clients in varying industries. Adrian is President of the UK chapter of the IIBA and he speaks internationally on topics relating to business analysis and business change. You can read Adrian’s blog at http://www.adrianreed.co.uk and follow him on Twitter at http://twitter.com/UKAdrianReed. Wow—that’s a broad question! And an important one too. It would be tempting to talk about analytical and modelling skills here, and of course those skills are extremely important and we shouldn’t neglect them, but in many ways they have become a staple baseline. There are many skills that I could talk about here, and I have always found interpersonal skills are crucial. In fact, I feel they are becoming even more relevant in the complex and fast-changing world in which we live. So, I would say understanding the human side of process management and process change is paramount. •	Influencing/”Selling”: It’s often crucial to get people to see the value of business process management or business process improvement initiatives. There are some techniques that we can borrow from the world of ‘sales’—I am not implying we should become full-on sales-people (and we certainly shouldn’t ‘hard sell’), but using techniques like the features and benefits table can help us to determine the best way to showcase our activities and get people on board. •	Stakeholder Analysis, Engagement and Communication: Process management and process change relies on high levels of stakeholder engagement and regular communication. This is probably something we all do implicitly, but it is always useful to sharpen our skills! •	Facilitation & Conflict Resolution: There will always be differences of opinion in organizations. Being able to acknowledge and reflect upon different stakeholder perspectives, and help the organization ‘learn its way through’ a tricky situation will make it much more likely that change will stick. All of these skills help us create a situation where we co-create with our stakeholders, so there is true shared ownership. I find the book ‘Getting to Yes’ by Fisher & Ury provides a practical perspective on negotiation, introducing the idea of ‘principled negotiation’. I have utilized the essence of these principles many times in my working life. I also find there are many useful articles and blogs on the Harvard Business Review website. However, interpersonal skills are probably largely enhanced through doing. This often requires us as practitioners to step out of our comfort-zones, step-up to situations where there may be conflict, and do what we can to ensure that the best interests of the organization are pursued. It can be scary, but it feels very rewarding being part of a team that has resolved a conflict and ‘unblocked’ a tricky organizational situation! Classroom based training can create a useful ‘safe space’ in which to learn the theory and practice these skills too, but it is most beneficial when it is followed up quickly with a real-world application. I think what is relevant really comes down to the organizational context. I certainly struggle to think of a skill that would never be applicable. I suppose a personal reflection would be that over the past few years I have found less need for lengthy, written reports or presentations. We now live in a world where there are many ways of communicating, and time is precious. I’ve experimented with using short videos instead of lengthy reports—and the feedback so far has been really positive. Of course, it depends on who the particular recipient is, and their preferred communication style. So, although there are certainly some uses for lengthy report-writing, perhaps there will increasingly be more of a focus on succinct and even visual communication. And of course, as practitioners who are used to modelling, we are extremely well-placed to find visual ways of communicating! Clay is the co-founder of Digital FastForward. He has spent most of his career helping leaders build and execute strategies around new disruptive technologies. Formerly with Forrester Research, a leading market research firm, Clay oversaw research and client advisory projects focused on digital innovation, digital automation, design thinking, and lean startup practices. Clay is a frequent keynote speaker at digital innovation events and conferences. By now, most BPM practitioners know they need to refresh their skills in order to lead digital transformation within their organizations. Design thinking is still at the top of my list of skills that BPM practitioners need to build to step into new digital roles. Design thinking provides processes and techniques that help frame and accelerate new innovation opportunities. In our 2017 Digital Workforce Survey, we uncovered a large gap in skills for robotic automation and artificial intelligence. Only 11% of respondents reported their organizations had expert level skills with artificial intelligence, and only 5% reported expert level skills with robotic automation. These two capabilities represent the next wave of skills BPM practitioners must learn to create value for their organizations. My take? Hands-on and experiential learning are the best ways to learn these new digital skills. Particularly for design thinking, since it really does require that you get your hands dirty with brainstorming and rapid prototyping. Last year, I attended an on-line artificial intelligence course from Udacity to see what the learning experience was like. The course itself was pretty complex, I needed to brush the dust off my linear algebra and statistics books from college. I thought the course provided a great overview and introduction to basic AI concepts, but required a huge time commitment. I think most BPM professionals don’t have the time or patience to go through an eight-week course to learn basic AI or robotic automation concepts. A hands-on three-day course will be a much more appealing option for busy professionals. For example, we’re working with the Digital Business Institute to offer a four-day training program that covers key digital skills, including design-thinking, robotic automation, and AI. Also, books are a great way to jumpstart learning new skills, such as design thinking. For example, I recommend checking out “Creative Confidence” by John and David Kelly of IDEO, one of the world’s leading design thinking consultancies. The book provides a thorough overview of key design thinking concepts, and helps build a foundation before moving on to hands-on training and application. In our survey, 24% of respondents expressed interest in attending training on data science. True data science training, focused on learning how to build and deploy complex prediction models and business rules, is not yet accessible for most BPM professionals. However, as low-code solutions extend to support building sophisticated data and analytics models, data science will become more accessible to BPM professionals that don’t have a PhD in predictive modeling. 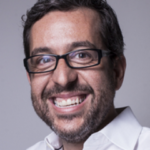 One of the most influential Spanish thought leader in Process Management using BPM, as for +15 years he has been dedicated to promote industry awareness of Business Process Management in Spain and Latin America. Director and Professor of BPM Master in UNIR. BPM Interim Manager for helping Organizations in its BPM and Digital Transformation initiatives. International Speaker about BPM. Since 2013 participates as jury of the WfMC Awards for Excellence in BPM and Workflow. He writes about BPM and Digital Transformation in his blog: El Libro Blanco Sobre La Gestión de Procesos. In 2018, for most companies, it is the moment when they will have to approach their digital strategy and begin to apply it more broadly. Digital innovation in companies requires reviewing all current processes to make the necessary changes to achieve their digital and corporate objectives. And BPM discipline and technology plays a key role. The market continues with the need for BPM professionals, It is estimated that an increase of 66% of professionals with BPM knowledge is necessary all over the world to cover the current demand for employment. The true picture on process automation is starting to change with the arrival of disruptive and smarter technologies applied to BPM initiatives, as Artificial Intelligence (machine learning, deep learning and cognitive systems), Internet of Things, Robotic Process Automation (RPA), Virtual Assistants, Immersive user experience systems (Virtual/Augmented/Mixed Reality), Analytics (Augmented, Predictive and Prescriptive Analytics), Event Processing, Process Mining… They will drive the next wave of disruption, agility and productivity in the digital company and they will lead to great advances in all organizations. For Spanish speakers, they have the most complete and official university postgraduate in Universidad Internacional de la Rioja (UNIR), a 1 year online university master: “Business Process Management for Digital Transformation” that the next edition will start in March 2018. This official UNIR Postgraduate is the only practical one with different BPM technologies and, in addition, it covers all BPM Life Cycle and the disruptive technologies applied to BPM initiatives. About books, the most important library of English Books is Future Strategies. For Spanish readers, BPMteca.com, focused on BPM books in Spanish. In my blog (http://pedrorobledobpm.blogspot.com.es/), I have some posts with bibliography by topics, and I will write more during this year. As BPM maturity is low in the market yet, all the traditional BPM skills are relevant. BPM Professionals need to go deeper into BPM discipline and not stay in automation of departmental processes, so they must eliminate the vision of vertical developments with BPM technology and focus on transversal processes and process management aligned with the corporate strategy. The year 2017 has been a year of Data Science or better said a year of Data Science being inflated to enormous size. Disciplines, methods, techniques, algorithms, technologies – everyone added a thing or two, trying to create a cure for every illness. Even the best data scientists were overloaded with news, trying to keep up with the tempo. 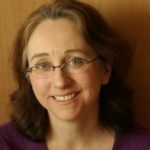 Specific techniques such as process mining bring a lot of valuable insight, but cannot stand on their own. They must grow into a complex business intelligence platform with simple, visual interface and lots of built-in intelligence and automation. While in 2017 it was enough to find and identify the problem, the year 2018 eagerly waits to receive the full root cause analysis. It will ask what is the reason for the issue, why did it happen? Predictions will evolve, but slowly. Simulation is dying in its complexity (although there are specific industries where it’s vital). 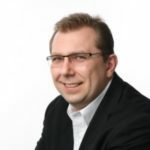 Phil Simpson is JBoss product marketing manager at Red Hat where he’s responsible for market positioning and messaging activities for JBoss Enterprise BRMS. 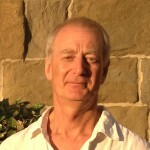 Phil has extensive experience with business rules and BPM solutions. He led the product management function at an early business-rules pioneer and has held senior marketing roles at several leading technology companies. Prior to joining Red Hat, he was product manager for the data analytics firm Renesys and was a director at SeaChange International, Ironhead Analytics, and Rulespower. Phil holds a bachelor’s degree from Southampton University in the UK. We’re beginning to see greater engagement between the business and IT sides of organizations as businesses tackle the challenges of digital transformation projects. My advice to BPM practitioners is to embrace the opportunity to learn about the technologies and practices that IT will use to develop the next generation of business applications. These apps can only be built by business and IT working together, and so it’s more important than ever that both sides share a common grounding. To start, I’d recommend BPM practitioners take a look at “DevOps“, or even “BizDevOps“. These practices are becoming more widely employed particularly for developing cloud-based applications. From a technology perspective I think BPM practitioners would benefit from a basic understanding of Containers and Microservices architectures, since this is likely how BPM models will be incorporated into future apps. Of course there is a long list of other emerging technologies that are impacting digital transformation projects, and if I were to pick one for BPM practitioners to focus on it would be Robotic Process Automation (RPA). Pick a mainstream RPA product, and learn how to use it. You’ll be a step ahead when you finally need to fully automate that manual process. Traditional BPM skills are still relevant in 2018. I wouldn’t ‘unlearn’ anything. The key will be learning how to apply them, in collaboration with IT, to the development of new applications. There are some new technologies that are still early in the hype cycle though. AI for example. If you have a project that needs a specific AI capability, like a chatbot, it can be a useful skill to learn, but in general I don’t think broad AI solutions are ready for widespread adoption by the business this year. Jim Sinur is an independent thought leader in applying business process management (BPM) to innovative digital organizations. 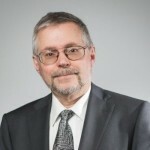 His research and areas of personal experience focus on business process innovation, business modeling, business process management technology (iBPMS), process collaboration for knowledge workers, process intelligence/optimization, business policy/rule management (BRMS), and leveraging business applications in processes. Jim is also one of the authors of BPM: The Next Wave. His latest book is Digital Transformation. Innovate or Die Slowly. 1) Journey Mapping for Customers, Employees and Partners including touchpoint analysis and persona creation. 2) Embedded Advanced Analytic and Augmented Reality Capabilities. Process plus big and fast data mining is on the grow. 4) AI looking for opportunities to add automation or more smarts like Robotic Program Automation (RPA). Machine learning is hot and Deep Learning is starting to gain momentum. 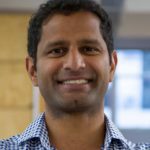 Shik Sundar currently leads global sales and partnerships at Pipefy, the “no code” agile process automation platform used by over 15,000 companies in 150 countries. Shik brings 10+ years of hyper-growth startup experience to Pipefy, across a diverse array of products such as mobile-first safety applications and digital marketing. Shik began his career in healthcare technology, having co-founded Benefitter (acquired by HealthMarkets) and leading sales at Adreima (acquired by nThrive). He holds a B.S. in Neuroscience from Emory University. Agile process management. The pace of change is going to continue to accelerate over the course of 2018 and businesses will have to adapt quickly to their new realities. You’re going to face new competitors, new business models, and new customer expectations… all of which will require new processes and new controls to guarantee execution. Bringing a culture of agility to the organization will be essential to achieve sustainable success/growth. How can you design solutions that balance the requirement of the business to have consistency, efficiency, and quality outputs while still providing a framework to change quickly if needed? How can you provide your users with tools that enable them to change quickly? BPM programming. As tools increasingly become more self-serve and user-friendly, it will become irrelevant for practitioners to train on esoteric notation and tool-specific programming. 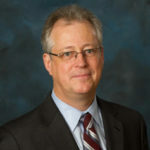 Keith Swenson is Vice President of Research and Development at Fujitsu North America and also the Chairman of the Workflow Management Coalition. As a speaker, author, and contributor to many workflow and BPM standards, he is known for having been a pioneer in collaboration software and web services. He has led agile software development teams at MS2, Netscape, Ashton Tate & Fujitsu. He won the 2004 Marvin L. Manheim Award for outstanding contributions in the field of workflow. Co-author on more than 10 books. His latest book, “When Thinking Matters in the Workplace,” explains how to avoid stifling creativity and enhance innovation through the appropriate use of process technology. His 2010 book “Mastering the Unpredictable” introduced and defined the field of adaptive case management and established him as a Top Influencer in the field of case management. He blogs at https://social-biz.org/. The most important skill and technique to learn in the process space for 2018 will be Deep Learning. Alpha-Go showed us a system that can play a game that was considered unsolvable only a few years ago, and it did this without any programming by humans. Tremendous advances in (1) big data and (2) cheap parallel computation, but…. At the same time, the most disappointing innovation for 2018 will be Deep Learning as well. Learning systems really have not solved broad open ended problems such as we need in the process space. Currently limited to hand-coded algorithms. Deep learning exhibits very quirky reliability: some amazing results, but lots of overwhelmingly problematic results on the long tail of exceptional situations. In such a system it is hard to understand what has been learned, and hard to modify and adapt it without starting over. Automatically improving a process requires understanding the business (cultural, moral, etc.) far outside the system. This important step is only the beginning. All the best resources for artificial intelligence (big data, cheap parallel computing, deep learning) are available on the Internet for cheap or free. Apache Spark seems like the best open source platform, and it is easy to run this on Amazon cloud computing. Finished books on the topic are all too preliminary, so you have to go to blogs, research papers, and other online resources. SOAP and traditional “large scale” web services with distributed transactions and such are no longer that important. Still needed, but the newer trend is to REST & JSON. ACID transactions are being replaced by sharded data spaces and “eventual consistency” approaches. James is a leading expert in decision management and in the development of Decision Management Systems. Experienced working with business rules, predictive analytics and other decisioning technologies to improve operational systems. Published author – Decision Management Systems (IBM Press), Smart (Enough) Systems (Prentice Hall), Real-World Decision Modeling with DMN (MK Press) – strategy consultant, writer and speaker. An understanding of the importance of decisions and an ability to identify and describe these decisions so they don’t get implemented piecemeal as process steps. While practitioners will find decision modeling and the Decision Model and Notation (DMN) standard helpful, they shouldn’t think that modeling decisions is part of modeling a process – it’s a separate activity. An awareness of the power of advanced (predictive) analytics and how it can be applied to process analytics AND to decision-making. Analytics is a hot topic for good reason but too many BPM practitioners think about analytics only in terms of process analytics. They need also to think about how analytics can be used to improve the decisions their processes rely on. DMN is best learned from the book I wrote with Jan Purchase – Real World Decision Modeling with DMN – and this has a chapter on decision identification. Those looking for a quick overview might find the Microguide to BPMN and DMN that I wrote with Tom Debevoise useful. The only real way to learn decision modeling, though, is to do it and to get mentored by someone who knows how. Classes run by practitioners – people who build decision models for a living rather than software companies or generic training companies -are also great. The analytics industry has spawned a huge array of free online training classes. Take one. AI is obviously over hyped but BPM practitioners should look for subsets of AI that are useful e.g. in analyzing documents or images, replacing UIs with chatbots etc as some of these do really work. Rules outside of decisions are done. Don’t capture rules at a process or enterprise level – model them as part of a decision model if you need to capture them. As Chief Executive Officer and co-founder, Miguel leads the charge in Bonitasoft’s mission: to democratize Business Process Management (BPM), bringing powerful and affordable BPM to organizations and projects of all sizes. Prior to Bonitasoft, Miguel led R&D, pre-sales and support for the BPM division of Bull Information Systems, a major European systems provider. Miguel is a recognized thought-leader in business process management and passionate about open source community building. * Focus on digital user experiences for both customers and employees. The user experience as a whole includes a well-designed, easy-to-use user interface that is entirely supported by agile, simple, and efficient processing of all the underlying business processes. * Improve exception management for existing services and offerings through the application of next-generation BPM technologies. * Allocate more time and resources toward security, including consideration of how blockchain technologies might play a role. * Invest in platforms focusing on DevOps experience, allowing developers and operators to build, test, and deploy enterprise applications more rapidly and with faster iterations. Maybe I’m a little biased, but I think the book Designing Efficient BPM Applications by Antoine Mottier and Christine McKinty gives a pretty good foundation for getting started on process-based application design. Neil Ward-Dutton of MWD Advisors has always good insights on both technologies and the direction of BPM, and I’ve been following Jim Sinur of Aragon Research since he was with Gartner. Sandy Kemsley and Scott Francis have also been following BPM trends and technology for a long time now. I also recommend Rob Dunie (Gartner) and Rob Koplowitz (Forrester) research on the evolution of BPM platforms and the role of BPM as an important enabler of Digital Transformation. Jaisundar at Bouncing Thoughts and Pritiman Panda, the BPM freak!! are fun to read too. Last but not least, experimentation is the best way to learn, and for that I recommend to leverage open source BPM technologies and communities to get started, prototype and experiment. This is how you can get started for example with Bonita OSS platform. Number one is traditional waterfall development approaches. Customers in all industries are moving away from detailed, long-term project plans with single timelines to embrace a more iterative (agile) development approach. Recent focus on customer-facing applications is going to accelerate demand for agile/iterative methodologies as, for example, customers will be involved through the whole development process. Projects where changes in deliverables are discouraged, or where resources, scope, and time are fixed are bound to fail. PS. Do you want to learn more about what to expect in 2018? Read the posts “The Year Ahead for BPM – 2018 Predictions from Top Influencers” from BPM.com and “Process Predictions for 2018” from Jim Sinur.